Koh Tao is a place in Thailand that has been popularized not only by its pristine beaches but moreover for its awesome underwater life. Arguably, the name Koh Tao translates to Turtle Island which some say is due to the shape of the island while others say it’s due to the large amounts of turtles that used to inhabit the island. Regardless, this popular island is often the chosen spot for many as they spend a few days discovering the underwater world. Being that Thailand is one of those countries that is quite easy to travel around, there are multiple options to reach Koh Tao Island. If you are coming from Bangkok, you have three options. You can either fly, take a bus, or take the train. Fly: If you are planning to fly, you can book a flight from Suvarnabhumi Airport which runs 5x a week or you can also book one from Don Mueang International Airport to Chumphon which runs daily. From these airports, you can hop on a taxi to the train station and head towards a boat to the islands. The sooner you book flights, the more affordable they are. Cost: Flights run from anything to $35-100 during peak season. Bus: For those thinking of taking a bus, make your way to the Southern Bus Terminal where you can purchase a ticket heading towards Chumphon. 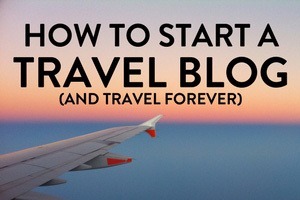 Often, you have companies that offer bus and boat tickets which are quite convenient. A popular company called Lomprayah sells these combo tickets right by the bus terminal. Cost: Bus tickets run from anything between $15-30. Another option to reach Koh Tao is from Suratthani which receives direct flights from other Thai cities and KL. From here, you can purchase a bus and ferry ticket heading towards Don Sak pier. Here, you can board a Catamaran heading straight for Ao Mae Haad Pier in Koh Tao. Other stops on this route are Koh Samui and Koh Phangan. This also means that you can reach Koh Tao easily from the other neighboring islands just by hopping on a ferry. Due to the many beaches and bays in Koh Tao, opting to go island hopping is a great way to see some of them. You can either go on an organized tour which runs on a set time or go about chartering a boat yourself. You can book the organized tours with any travel agent around the island. Lunch is often included along with snorkeling equipment as you visit different places around the island. Another option is to rent or charter out a long tail boat. Gather a group together and make a day out of it. 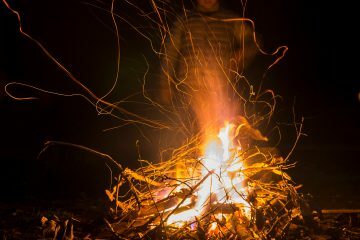 You can bring snacks and drinks along with you and stop in secluded bays and beaches. You can simply ask the captain to stop at a beach where they have restaurants so you can grab some lunch and carry on exploring afterwards. You can find many long tail boats in Sairee Beach and negotiate a price, depending on how many you guys are. Cost: To charter a boat would be anything from 1500-2000 Baht, depending on your haggling skills. 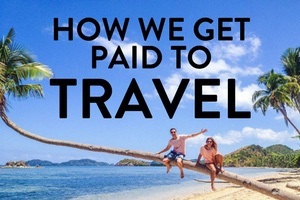 If split amongst 6 people, it’s very affordable and is definitely worth it! Insider Tip: Bring water, sunblock, snacks, and drinks with you! The boats provide very little shade and some resorts hike up the price for bottles of water depending on where you go. Plus, a few cheeky beers or rum cokes would be perfect for island hopping. 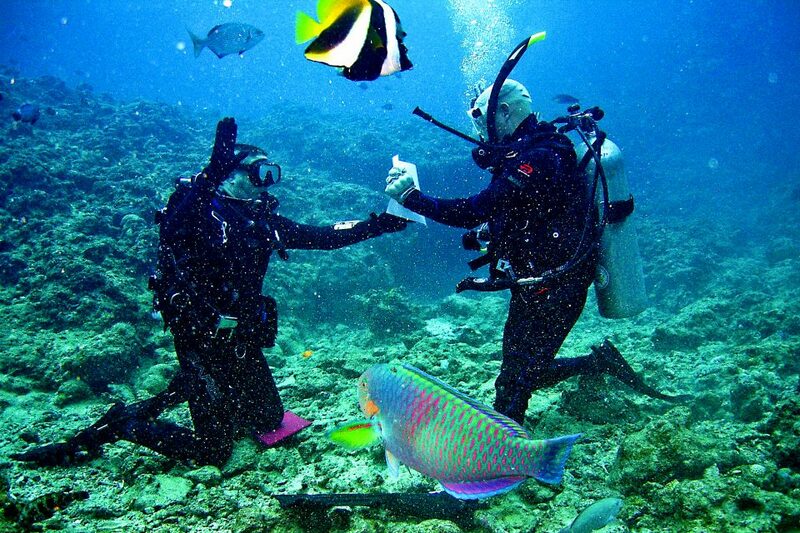 As mentioned previously, people flock to Koh Tao just to become a certified diver. In fact, next to Australia, Thailand has the most annual divers being certified annually. Apart from having warm waters and an awesome underwater marine life, the diving here is CHEAP! Compared to other places, the cost of certification is very affordable which is why many people choose to do it here. Usually, dive certification packages even come with discounted lodging rates, making it an ideal place to learn. If you’ve been following our blog, you will know that we love hiring motorbikes. Tom loves his bikes and well I, I’m lucky because I can just hop on the back and enjoy the ride. When in Koh Tao, if you’re not scuba diving or island hopping, rent a motorbike and drive around the many beaches and coves. Some roads are quite steep so make sure that you are a confident and experienced rider. Mountain bikes are also available for rent for those that are looking for some exercise. Before you rent a motorbike, don’t forget to read our recent article on Incredibly Useful Tips on Renting a Motorbike in Thailand. In the good old days, we could party for three days in a row and wake up early to go island hopping or even diving. Now, I wake up the next day feeling like a steam truck had just run over me. Despite this, we love the occasional night out. 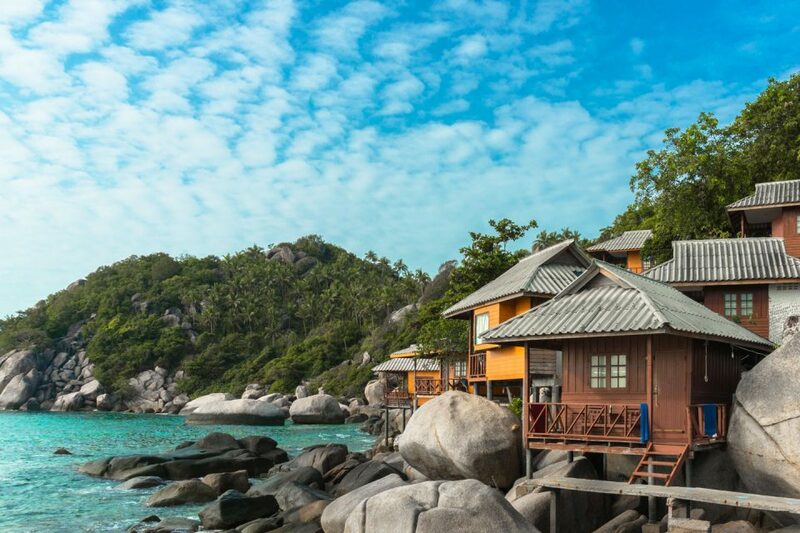 If you like partying, Koh Tao is the place for you. 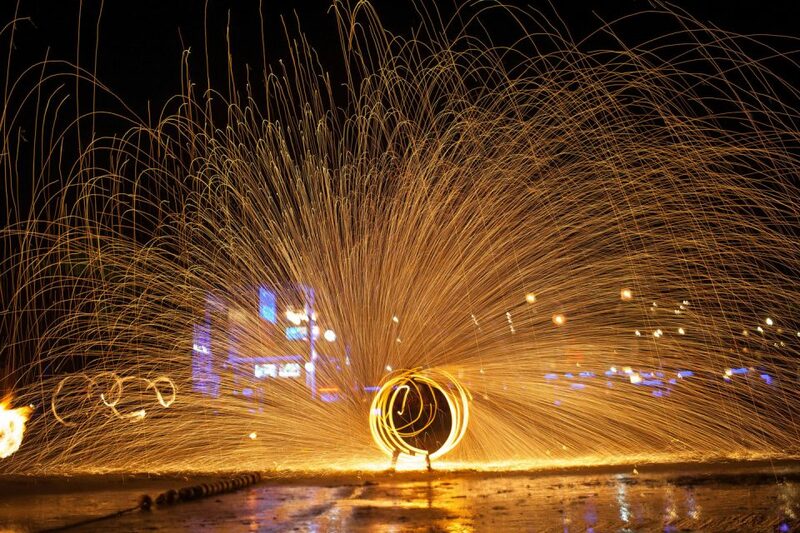 All over the main stretch of Sairee beach, you will find DJ’s, bars, fire dancers, and all sorts of entertainment. You can very easily be chilling in a beach bar or dancing your night away in the club right next to it. Koh Tao is known for its many stunning beaches and bay which are full of shallow colorful reef. There are loads of places on the island where you can swim and snorkel, or simply lie under a palm fringed beach as you take in the beauty around you. 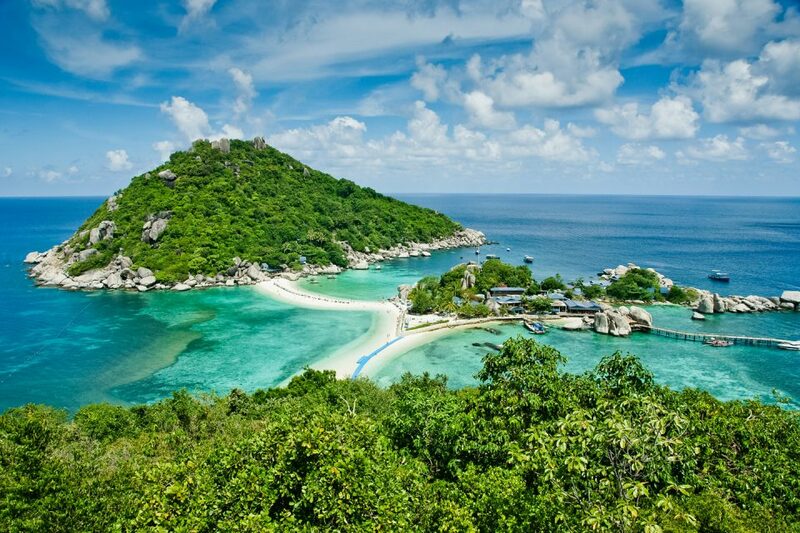 Amongst all the other beaches in Koh Tao, Sairee is the most popular and accessible. The water here is calm and warm, making it perfect for swimming and relaxing. The entire beach area is full of restaurants and bars and can be quite busy at night. This is also where a lot of the bars and parties are so take this in account when choosing where to stay. We personally stayed in Sairee as we wanted close access to some bars and restaurants. We chose to stay in beach bungalows which were closer to the rocks at the very end of the beach rather than places which were right next to the bars. 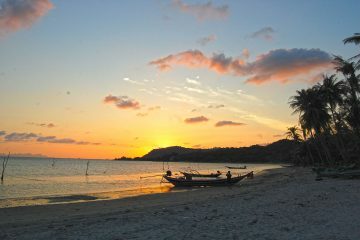 Ao Leuk can be found on the South East side of Koh Tao, is the complete opposite of Sairee beach. Here, you will find a quiet and stunning beach with turquoise waters. The place itself means deep bay which is why it is a rather popular site for snorkeling. The coral reef on both sides of the bay starts off pretty shallow whilst still giving you a wide variety of things to see. 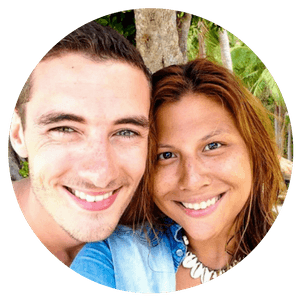 When we were there for Tom’s birthday, together with some friends, we hopped on a motorbike and went to Sai Daeng Beach which has a fantastic view of shark island. This was where we decided to go snorkeling towards shark island. Luckily, it was a calm day so the currents weren’t that bad. Much to our surprise, we saw a shark. Our initial reaction was “there’s a shark, quick swim to it!” As soon as I saw it again, something in me clicked. That was when I realized we were actually swimming TOWARDS the shark and not away from it. As this was my very first time to see one, I quickly regained my senses and swam frantically towards the shore. I know that they were harmless and I have since been scuba diving with them countless of times, but the first time is still pretty nerve wrecking! We now fondly refer to that day as when we saw Tom’s birthday shark. If Sairee Beach is too busy and crowded for your liking, you can opt to stay in Chalok Baan Kao Bay which still has some amenities but is nowhere as busy as Sairee. There are restaurants, some dive shops, and even a 711 and pharmacy. This bay, although is rather steep and terrifying to get to, was definitely worth it. Be very careful heading down with your motorbike as the dirt roads are quite unforgivable. Luckily, we reached it unscathed, ready to enjoy the snorkeling and cliff jumping. Much like it’s neighboring bays, the snorkeling was very alluring, showcasing bright corals all over. In the middle of the ocean, a few meters away from the shore is a large rock which you can climb up (using a rope) and jump off from. A trip here is definitely for those who are looking for some adrenaline and action. Located a mere 10-15 minute boat ride away from Koh Tao, is the beautiful Nang Yuan Island which people in Koh Tao often frequent. Between the snorkeling and the beautiful rock formations, a trip here is well worth it! We rented a long tail boat from Sairee beach and went there for a full day. Although it was busy, it was still a fun day out for us! As much as I would like to, I could go on and on about the different places to eat, where to go, where to stay, or what to do, but in reality, nothing beats heading to the island and discovering it for yourself. The stunning reefs, the vivid and colorful underwater world, and the wide variety of things to do is a sure way to ensure a fantastic time on the island. 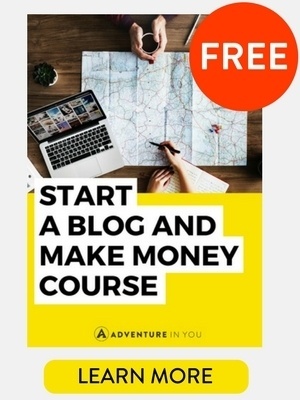 This is such a great guide, you guys! 😀 I have been to Thailand BUT not yet to these parts so it’s great to know that you have something as detailed as this. Thanks! Really loving your posts. They are very detailed and give so much valuable information. I hadn’t realized how cheap it was to get scuba certified in Thailand. I might have to stop off here to get certified before I head to the Maldives. You’re welcome! Glad they could help. Yes-that’s not a bad idea actually. 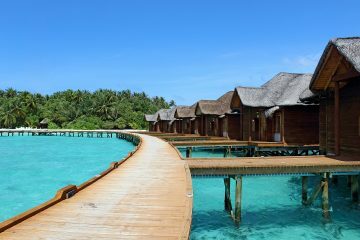 Enjoy the Maldives!! 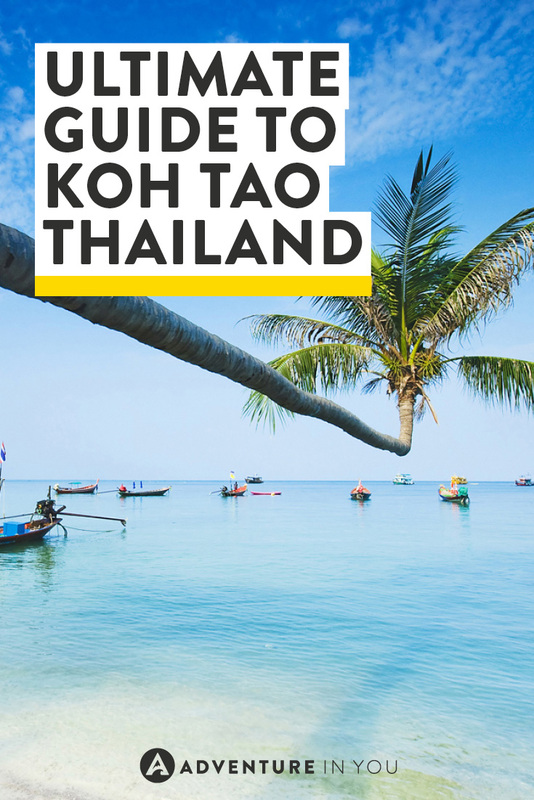 Great starting point for those planning to visit Koh Tao while in Thailand. We didn’t get a chance to get to Koh Tao while we were in the islands. Too bad, I think I would have loved to snorkel near Tanote Bay! So many beautiful islands to see there! You could really spend a year there and never see everything. It’s so beautiful. I bet scuba there is amazing. Awww wow that;s amazing. Yes, Thailand has definitely loads to offer travelers. 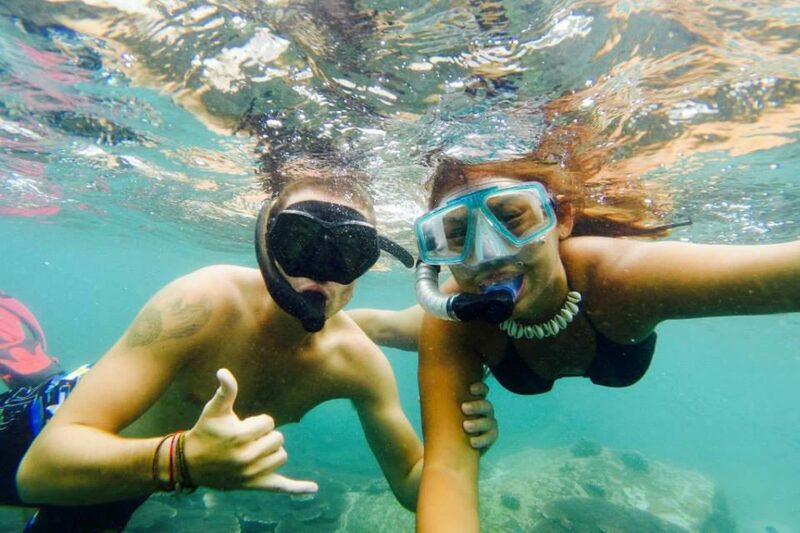 awesome snorkeling photo! really missed thailand when i read your post. I should really go back again soon! Sounds like an island that has it all! I’ve always dreamed of going scuba diving with sharks, but don’t yet have my scuba cert. Would love to head to Sai Daeng Beach for some snorkelling to hopefully see one :D! Komodo Islands in Indonesia has been one of the best diving experiences for us.Although the prices to get certified here in Thailand is hard to beat. Tom has been doing it all over (including riding Vietnam from top to bottom). Best experience throughout his travels according to him. For some reason Thailand has never spoken to me, and I guess it is because all I hear about Thailand is from friends going on charter trips. But the last few months I’ve got to see different parts of Thailand and would actually love a few weeks of island hopping. And as scuba divers Koh Tao sounds just perfect, a big plus on the beautiful beaches too! 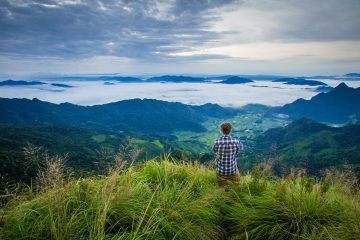 There are loads of opportunities for off the beaten path traveling in Thailand. Koh Tao is great for diving but for us, Komodo in Indonesia tops our books. Thailand has so many lovely islands with relatively untouched beaches, that you are spoilt for choice. On our last trip to Thailand we missed this though we covered Bangkok, pattaya and Koh Larn Island. We hope to return to explore some of these beautiful islands again and after reading your post, Koh Tao Island, tops the list. Thanks for sharing. How was Koh Larn? I’ve actually never heard of that place!